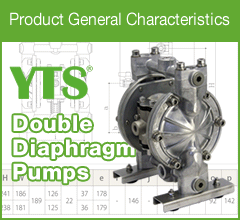 The Production Department of YTS consists of four sections: the Injection Molding Section, PTFE Diaphragm Manufacturing Section, Machining Section, and Pump Assembly Section. We always focus on high quality, low cost, quick delivery, and work improvement. 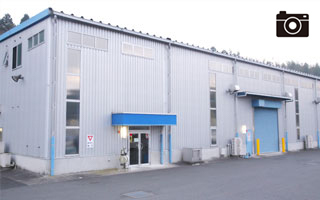 The Injection Molding Section has at present 14 separate molding machines ranging from 15 to 1,300 tons and excels at manufacturing thick-wall molding of super-engineering type plastics. 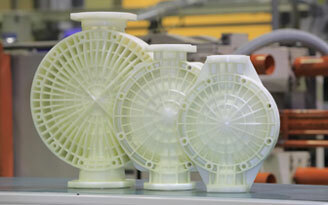 Our factory is completely air-conditioned 24 hours a day to ensure the dimensional stability of all our products. 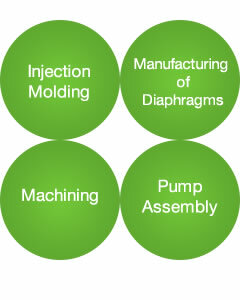 The PTFE Diaphragm Manufacturing Section produces the highest quality PTFE diaphragms and has developed some unique manufacturing technologies. 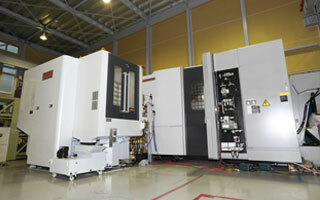 In the Machining Section, an automated NC lathe machining center operates automatically 24 hours a day, 7 day a week. 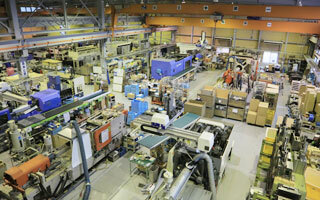 The Pump Assembly Section has made continual improvements and eventually adopted a unique small-group cell production system that enables small-lot production in great varieties while maintaining high quality, low cost, and quick delivery.Throughout the whole production process, all employees are conscious of maintaining high production quality and continually improving their own work place and processes.